The Magic Circle Awards Ceremony, 2nd September 2018. 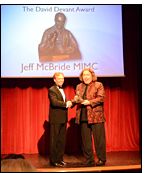 The David Devant Award for Services to International Magic - awarded to Jeff McBride MIMC. Among the highest awards bestowed in the world of magic and illusion, the Devant is given to those who have made a significant contribution in advancing the art of magic or who have given outstanding service to magic internationally. The trophy is a miniature bust of David Devant, the first President of The Magic Circle. The original life size bronze being on permanent display in The Magic Circle Headquarters. 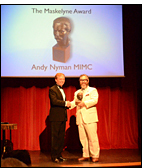 Maskelyne Award for Services to British Magic - awarded to Andy Nyman MIMC. Carlton Comedy Award - awarded to Young & Strange (Richard Young AIMC and Sam Strange AIMC). John Neville Maskelyne Award for Literature - awarded to Paul Gordon AIMC. 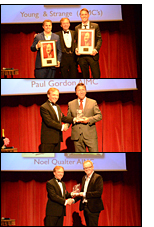 Cecil Lyle Award for best trick published in The Magic Circle - awarded to Noel Qualter AIMC. Hoffmann Memorial Lecture Prize (for research related to the theory, history and practice of magic) - awarded to Dr Matt Pritchard AIMC. Silver Wands for services to The Magic Circle - awarded to Peter Kyle OBE, Alan Maskell MIMC and Roy Marsh MIMC. Prince Charles to celebrate his 70th with magic! 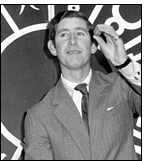 "Prince Charles' 70th birthday will be marked by ITV magic show" Click Here. "Prince Charles given magical 70th birthday performance - celebration details revealed" Click Here. Ali Cook Principles of Deception UK tour. Treating audiences to a festival of fascination, Principles of Deception acts as a storytelling of magic, with Ali Cook’s own brand of awe-inspiring magic and off-beat comedy. 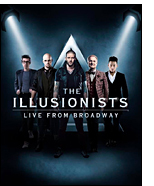 Star of the West End magic spectacular ‘Impossible,’ ‘Penn & Teller: Fool Us’ (ITV1), ‘Dirty Tricks’ (Ch4), ‘Monkey Magic’ (Five), ‘Psychic Secrets ‘(Five) and the ‘Jerry@Trick’ show (Five). The tour will visit theatres nationwide between 29th September - 17th November 2018. "A hugely impressive show that’s never short on spectacle… Genuinely astounding" ★★★★ Mail on Sunday. Michael Vincent's 'Synergy' - The Wolverhampton Circle of Magicians. Sue Oakley writes: On Wednesday 12th September, The Wolverhampton Circle of Magicians will be welcoming back their good friend, Michael Vincent. Michael is a multiple time award winning magician and one of very few performers to have appeared on Penn and Teller's Fool Us twice. If you have seen Michael perform you will know that not only does he handle coins and cards beautifully, but his knowledge of the history of magic is vast. 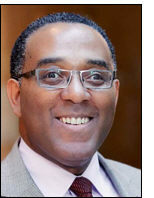 Michael is known as an excellent teacher and will be sharing a talk entitled 'Synergy'. With Synergy, Michael talks about using all the magical elements at your disposal and bringing them together to create a masterpiece. It examines the right construction, design, and script to help express your magic. This synergy only comes after many years of study and performing and Mike will be with us to share his insights of what works to create effective magic.